There are many companies worldwide with a huge amount of experience regarding steam generation, boilers, turbines, CHP plant etc. However as soon as the steam leaves the boiler house the expertise on the demand side is significantly less. A steam system is a combination of an Energy Balance, Mass Balance, Temperature Balance and a Pressure Balance. For a system to work well it is necessary that all four are in balance. In theory not difficult but in practice it is not that easy. PES has many years of experience designing state of the art steam systems which are often the ‘Poor Relation’ of process design. As well as correctly designing all the equipment such as pumps, valves, steam lines, tanks etc it is also imperative to have good control of the system. Our objective when designing systems is to automate as far as possible the operation of the system so as to minimize operator input and reduce possible errors. We are able to provide a complete package from initial consultation through to final commissioning and training. 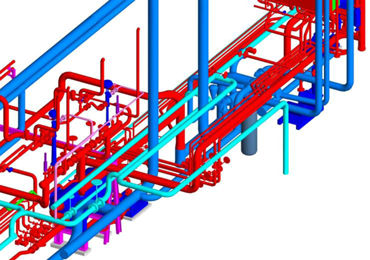 We supply all the necessary equipment but can include all the piping design in Autocad 3D complete with expansion calculations and isometrics and material takeoffs. As well as correctly designing a system to work well it is also important to consider access for monitoring and maintenance. 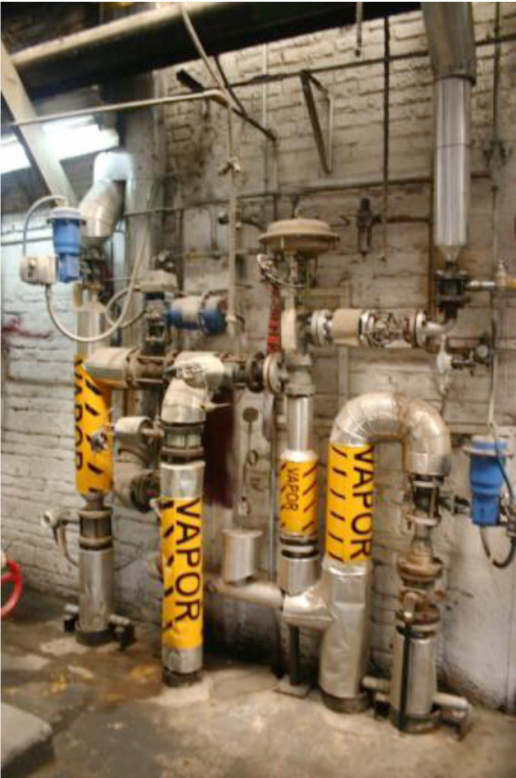 Photograph shows the potential complexities of a steam and condensate system. One aspect is the theoretical design but the other is the practicalities of modifying an existing system, usually within very restricted areas. The objectives when designing a system are to make it effective (it does the job it is designed to do), efficient (does the job with the minimum energy use), safe, reliable and easy to use. With over 25 years of experience designing state of the art systems we can confidently say we are able to provide the best solutions for steam and condensate systems. Every plant is different irrespective of the industry and we would need to analyze each process individually. After checking the existing system we would provide a quote for the required modifications and include key financial information to assist our clients with the justification/purchasing process. The key to our success is not just in the knowledge and expertise required to design and supply the correct equipment but in the detailed project management to implement the systems.